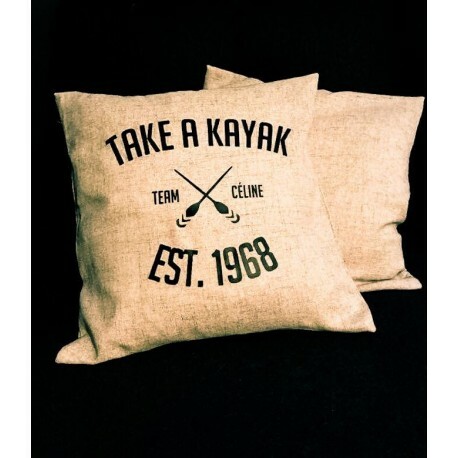 Beige linen cover from the "TAKE A KAYAK" new cult line, Céline Crew's special collection designed especially for Céline Dion fans. Details: dimension cover - 45x45 cm in natural linen for cushion. Decoration element for home, bed or couch. Attention, the product does not include the cushion.